Located near to the rolling chalk downs of Epsom, Linden House, is an impressive Victorian House that has been carefully converted to a first-class 32 bed care home. We’re proud of the warm and welcoming atmosphere that greets every visitor to our home. 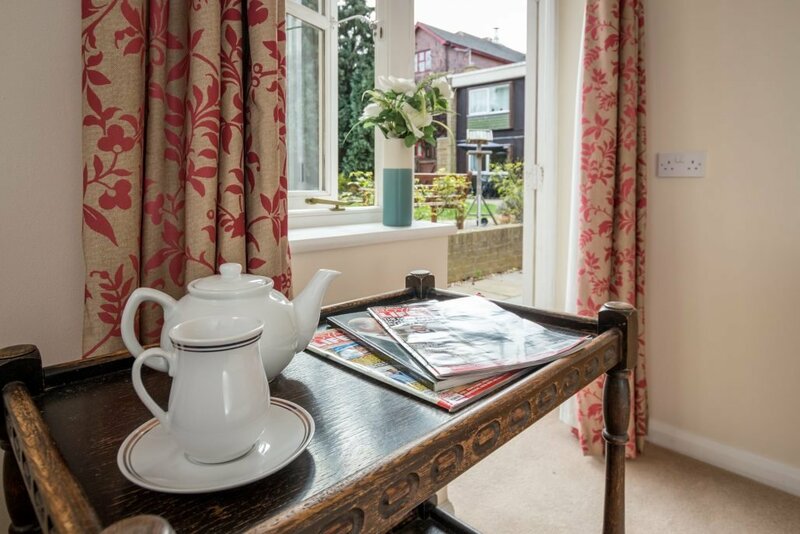 The care home offers single rooms, all with private washing and toilet facilities. In addition, there are spacious communal areas consisting of three large lounge/sitting rooms and two dining rooms. These facilities give the image and feel of a luxurious hotel but with the added benefit of full 24 hour care. The team at Linden House prides itself on delivering first-class care and support to consistently superb standards. That means we tailor everything we do to meet the personal preferences and varying needs of retired and elderly people. 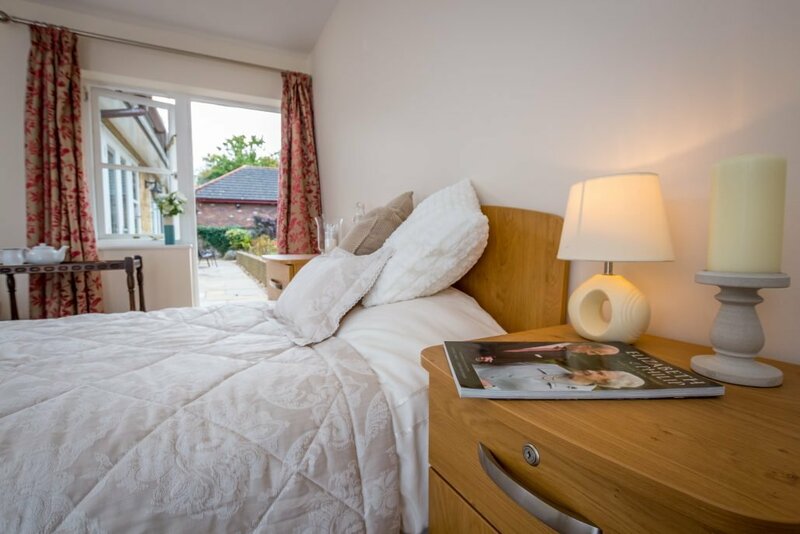 Located in a peaceful residential area in the affluent town of Epsom, Linden House is just a matter of minutes from local shops and amenities. With the M25 and local railway station within a comfortable travelling distance, we’re easy to access for visitors from anywhere in the UK. From the moment you walk through the doors at Linden House, we want you to feel relaxed and comfortable. Although our staff can provide for your every need, we also work closely with trusted providers to ensure you can enjoy your own in-house hairdresser, chiropodist, physiotherapist, optician and audiologist. Whether you need a bit of extra support whilst you recharge your batteries, or simply crave some like minded company and a change of scenery this festive season, Linden House Care Home could be the perfect place for you to enjoy Christmas with care. The individual approach. At Linden House we’re passionate about delivering a personalised approach to care. We will always respect every individual and encourage aspiration and independence whenever possible. The home-cooked food. Our chefs and catering team are committed to providing nutritious and varied menus. All the food we serve is prepared by hand, using fresh locally sourced ingredients whenever we can. The picturesque rose garden. We believe that you and your visitors will be charmed by our idyllic courtyard rose garden – a colourful and serene haven that we hope will become your favourite summertime retreat. The Victorian charm. A sensitively converted Victorian house, Linden House benefits from a number of stunning original features that have been retained during the careful modifications during its transition to a first-class care home. Whether you’re looking for somewhere to live permanently or just need some short-term respite or convalescent care, our team is committed to tailoring their support to your specific needs and personal preferences. Although our care team will strive to build a strong relationship with you, we know nothing can replace a visit from friends or family. All of our care homes are regularly inspected by the Care Quality Commission, to ensure that the high standards we strive to achieve are maintained at all times. In addition to this we have our own Governance Manager who supports the team in complying with all regulatory practices. Want to know more about our care home? Click one of the links below to download a Digital PDF version of the Linden House brochure. Linden House’s latest CQC report was issued on the 2nd of February 2017. Click the link below to view the report in full. Feel free to pop in at any time to have a look around our home; however, if you call us beforehand, we can arrange for a member of our team to show you around and organise a meeting with our Home Manager, Paula, who will answer any questions you may have. Christmas celebrations at Linden House have begun! Willowmead Residential Home Ltd trading as Linden House is part of the Wren Retirement Living group of companies. Our care homes are open 24 hours a day, 7 days a week. Please go to the home search to find the contact number.